Discussion in 'Arts, Literature, and Games' started by anglican74, Sep 28, 2018. If this will be the look of our churches from now on, then the Church is as good as dead, and the Lord's Promise has failed, which it cannot..
Hideous architecture is a feature all too common today, Anglican74. Just yesterday I was exposed to the Scottish Parliament building in Edinburgh for the first time on TV. What a ghastly place, and an insult to anyone with even a modicum of appreciation for beauty and aesthetics. Can someone tell me why? Just, why? JoeLaughon, Magistos and Peteprint like this. New churches being built, all in the traditional style! Those these new churches are a hopeful tide against left over churches from the mid-century modernism. I love seeing the re-vamp! I visited the church in Ave Maria, FL and found it rather..unsettling. It is somehow a mixture of traditional architecture and industrial design. It's very odd, cold, and feels unfinished. Even though it gives an outward appearance of looking traditional, once you encounter it closely and go inside it really is it's own creature; it feels like the construction workers just left for lunch. 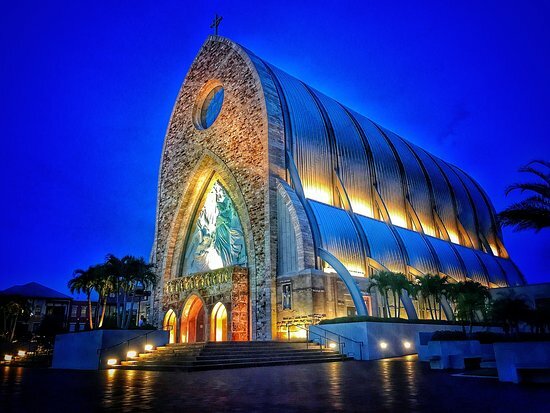 I've read that the city's founder designed the church himself which makes sense because it lacks a sense of harmony and peace which I think a professional architect would have noticed. Maybe others have a different take on it, but it seems that not all attempts to go back to traditional church architecture are a success! I will give a small defense for some modernist styles of church buildings, as I love the incorporation of nature with some of the designs. I think they are wonderful for chapels as it suits a small scale. Maybe not so much for larger churches or cathedrals. My parish is in the process of renovating a building. One thing it has not been in its career is a church. Most recently, the local school system was using it as an indoor practice facility for some of the sports teams. We are going to have the first service Sunday and I guess the sanctuary is going to be something like 50-60% complete. I'll try to remember to take a few pictures. I find a lot of modern attempts at Gothic, Romanesque, etc., to be far too "smooth" looking and influence by minimalist neoclassicism. Either go all the way, or don't. There's something flat about even those "traditional" new churches. Certainly it's an improvement over the industrial wastelands of 1950s-1980s churches, but there's still something rather dead about them. I tend to feel modern churches feel a little harsh and only get softened by decades of prayer. 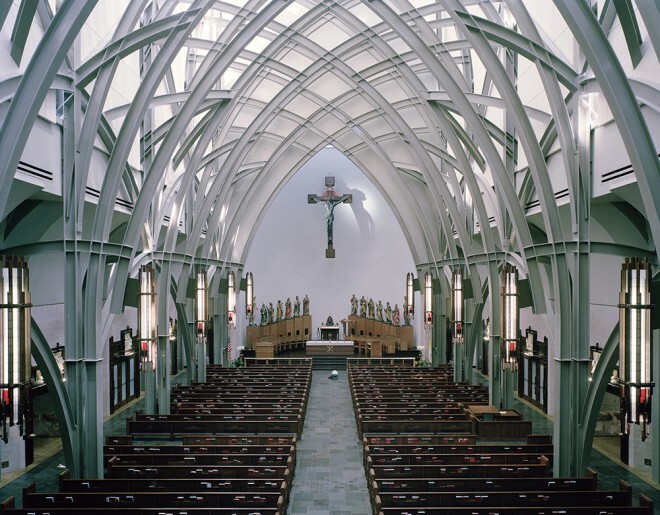 Here is the restoration of St. Mark's, in Peoria Illinois, which although restored according to the Romanist aesthetic is still better than the earlier 1970s horrible modernism. JoeLaughon, Botolph and Will_ like this. I have seen some of the great Romanesque, Gothic, Crusader, and Baroque Churches. Inside they capture a spirit of worship, reverence, contemplation, and solemness. I find the modwernist style, which even often removes the cross or make it more geometric and faded in the background of the architecture.